If you hear the song "Don't Stop Me Now", you can notice, freddie's marvelous breath control in there. I think that's why it was a very hard song to sing while playing piano, as he used bootlegged version to deal with it. You didn't get any comments, but this is a pretty cool listen, I think. I like this song and was surprised at how much it was comped. 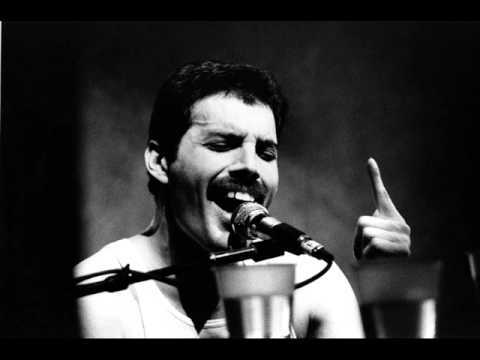 I'm impressed with Freddie's tone versatility while being on key and musical. I wonder how smooth he could have kept it in a single take. There seem to be several spots where his technique is arguably not "correct," but it sounds great regardless. Yes, this is an awesome listen. Remarkable. Highly comped, but you can see that in all of the video of him recording. He was a artist at compositing vocals, and many of his tracks had SO many tracks and takes on them. What a voice. The more tracks the merrier.